Pig wallow in lowland forest. 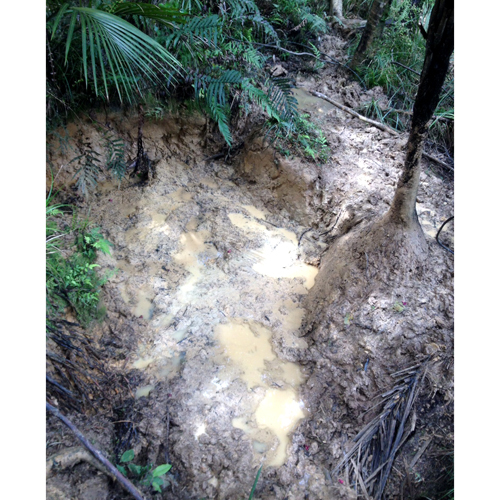 Note the worn down and muddied tree fern trunk at right, which are often found right next to the wallow, as here, or some distance away. The pigs use the trunks to rub on after they have wallowed. Pigs take mud baths to rid themselves of lice and other parasites of the skin. Their wallows can be confused with deer wallows.